After a health scare and months of recuperation, Don’s mother Alice was slowly recovering. He had worked out arrangements with a home care service and the doctors reported great progress, but the incident created a keen awareness in Don to capture Alice’s life story and her family history sooner rather than later. He decided he would actually do something to preserve his mother’s memories and made arrangements to do a personal history interview. At her father’s funeral, Jennifer was pleasantly surprised to talk to so many of his acquaintances and friends. Each had a story to tell about her father that she had never heard before. Jennifer regretted that she had never done a personal history interview with her father, and vowed to schedule a time each week to document her mother’s life stories. Yui had always been close to her grandmother and missed her terribly since she passed on. Fortunately Yui’s mother had the foresight to do a few personal interviews with her grandmother using a digital recorder. A few times per year when Yui wanted to feel connected to her grandmother, she could pull out her CD copy of the interviews and listen to her tell stories about her childhood. Each of these cases demonstrates the importance of doing personal interviews with aging loved ones. Family members that have a close connection with an aging loved one, such as a family caregiver, adult child or grandchild, or close relative, can do family history interviews quickly and easily. Preserving the stories and recollections of a loved one’s past can help strengthen the connections between generations. The first step in doing a personal interview of an elderly loved one is gathering equipment and setting up a time. Family members should always try to use the best equipment they can and choose a location that is free from ambient sounds and interruptions. For example, select a time when grandchildren are not around and home care aides have left for the day. The next thing to do is start the interview with a few focused questions. There are many printouts and guides available online with lists of questions and prompts for family and personal interviews. Having a good list nearby can help guide the direction of the interview and entice an elderly loved one to provide more than just one-word answers. Family members must remember that the goal is to get their loved ones to recall stories, events, names and memories about their childhood and early years. It’s never a race to get from one question to the next. They should avoid interrupting the elderly person and allow them several pauses as they sort through their thoughts. If the senior is getting tired, irritable or emotional, it’s just fine to continue the interview another time. There are probably many family members that would appreciate a copy of any recorded interview of an aging loved one. Nowadays, it’s easy to make copies on CDs or DVDs for any interested relatives. Preserving the life stories of elderly loved ones via personal interviews will allow those memories to live on in the next generation. 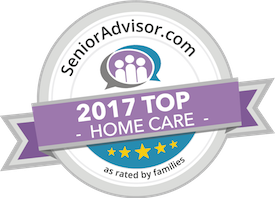 Have questions about home care in Kailua, HI? Contact the caring staff at All Care Hawaii today. Call Oahu (808) 206-8409 or Maui (808) 664-3853. Call us 24 hours a day, 7 days a week!